Thinking about the work during my weekend run NEVER happens! Maybe it has to do with getting to my favorite coffee shop as fast as I can, or it may be because I cannot think straight due to the exhaustion caused by the run. Whatever the case may be, that was exactly what happen last weekend. Every Saturday morning, I run (more like a really fast walk) along the Yonge Street (Eglinton to Lawrence Ave) for a half an hour, and then stop at the Tim Horten’s coffee shop for my 1st(?) coffee of the day /much needed break for another half an hour or longer….. after the break, I start walking back home. It has been pretty consistent for this whole summer until last week. For most days, the thought of getting my first coffee in my hand forces me to run/walk as fast as I can, so it is not easy to notice many things along the way. However last week, I made a stop in front of the tall stack of plants; many plant pots stacked neatly together to create a wall. It looked pretty sturdy like a wall, and it obviously looked pretty, which is not an adjective I would use to describe a wall. After walking around the “wall” for sometime, I realized that behind the wall, there was a wooden/transparent building which was gardencenter(http://www.sheridannurseries.com) that carries all the gardening materials, equipments, etc. The charming space (in front of the store entrance) created by the plant wall gave me the impression of a small outdoor space, which I would not have imagined running along the Yonge Street. After the discovery, I started walking again and thinking….about that “plant wall”. For some reasons, I started noticing many of the barbed wire/ wooden fences around the houses after the encounter. One of the most frequent questions I get as an architect is my view on design, and what I would consider as a “good design”. 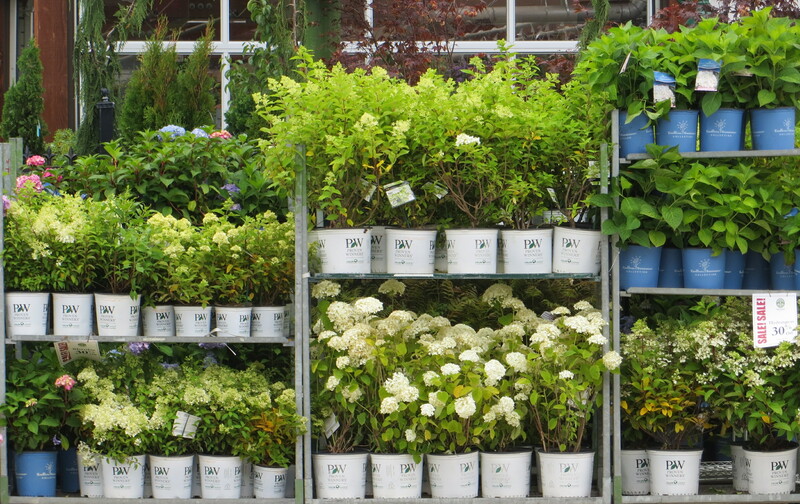 I would say the example of the “plant wall” at the garden centre would be an ideal answer for the question. My guess is that having the stacks of plants on the side walk along Yonge Street was not the store’s intentional design concept… However, the outcome of the wall in front of the store became a great marketing material, as well as providing a pleasant condition for the exhausted /slow runner.